According to Bloomberg Report, Johnson & Johnson’s Ethicon Unit sold Gynecare Prolift for two years prior to applying for FDA approval. According to the Bloomberg report, the FDA received 123 complaints about Gynecare Prolift from 2005 to May 15, 2008, when the device was finally approved. Gynecare Prolift has since been named in more than 500 transvaginal mesh lawsuits by women who were allegedly injured by the device. According to Bloomberg, many of those lawsuits are pending in state court in Atlantic City, New Jersey before Superior Court Judge Carol Higbee (In Re: Pelvic Mesh Litigation/Gynecare, Case No. 291 CT, Master Case 6341-10). There is still time for women who have been injured by transvaginal mesh devices to file their own lawsuits against the makers of these products. To discuss a potential lawsuit with one of the experienced and compassionate transvaginal mesh injury lawyers at Alonso Krangle LLP, please contact us at 1-800-403-6191 or visit our website, http://www.FightForVictims.com. Alonso Krangle LLP continues to offer free lawsuit evaluations to women injured as a result of transvaginal mesh devices, including Gynecare Prolift. 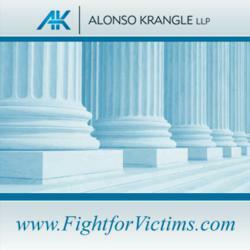 To discuss a potential claim with one of the experienced and compassionate transvaginal mesh lawyers at Alonso Krangle LLP, please contact us at 1-800-403-6191 or visit our website, http://www.FightForVictims.com.